This resort is located in the northern fringe of bio-diversity-rich Chitwan National Park, which is home to many endangered flora and fauna. The resort is a stone-throw away from the national park headquarters. 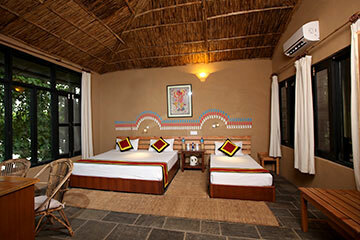 The nearest airport is Bharatpur Airport which is just a half an hour drive from the resort. 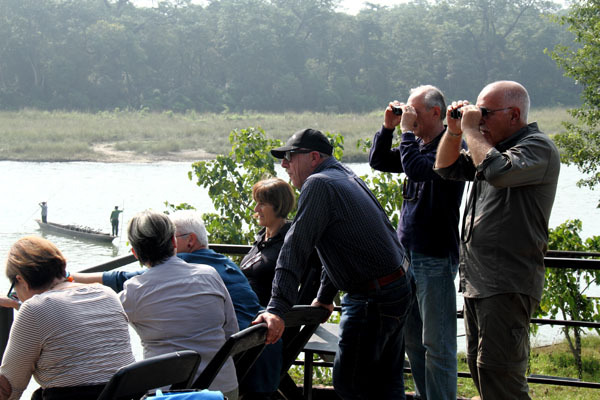 The resort has a full service restaurant and bar and a beautiful over- the- river deck for viewing wildlife. Bestowed with nature's finest creations, the Jungle Villa Resort is one of the most popular luxury wildlife resorts in Nepal. 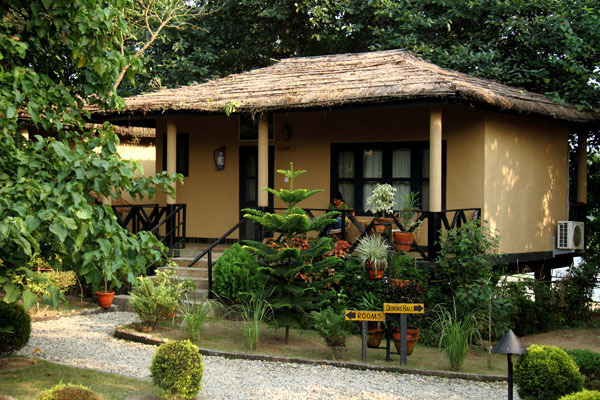 This resort is located in the northern fringe of bio-diversity-rich Chitwan National Park, which is home to many endangered flora and fauna. Covered in four hectares of lush green forest land and beautifully designed garden, the resort is situated on the bank of Rapti River which is ideal habitat of many species of aquatic animals. 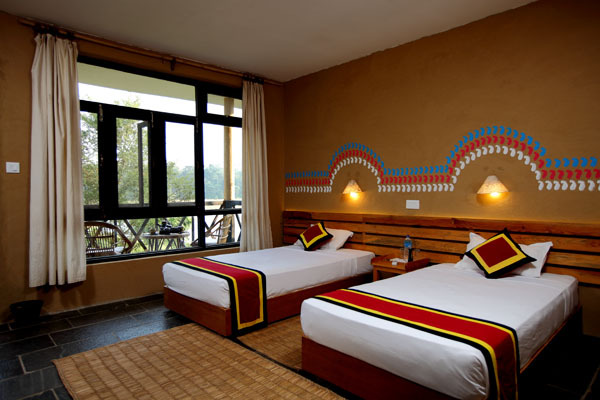 The resort features includes a cluster of two-dozen cottages with well-furnished rooms equipped with modern amenities. 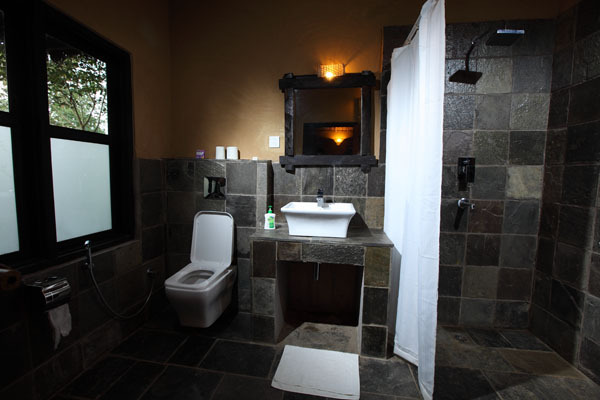 All our rooms are air-conditioned with attached lavatories having facility of 24/7 running hot cold water. This resort offers Elephant Safari, Nature Walk, Jungle Safari, Bird Watching, Canoeing, Tharu/Darai Village Tour, Ox Cart Ride, Crocodile (Gharial) Conservation Project Tour, Bathing with elephants, Indigenous Cultural Dance Song Performances, among as per the demands of the guests. The hotel has a full service restaurant, managed by a team of food specialists, serve varieties of Continental, Indian, Chinese and Nepali maintaining proper hygiene. Fully organic vegetables and dairy products produced by local farmers are used in the kitchen.